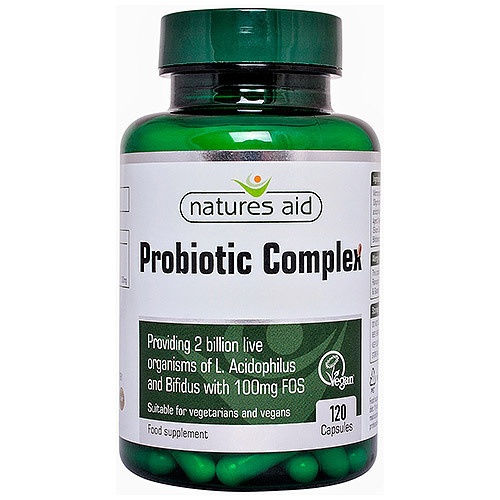 Natures Aid Probiotic Complex provides `friendly` bacteria which may help to maintain a healthy balance in the gut, especially after taking antibiotics and when travelling abroad. Also contains FOS which feeds the `friendly` bacteria. 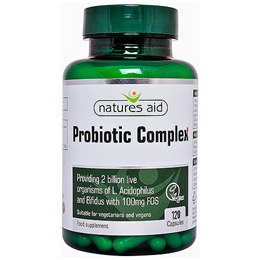 Below are reviews of Natures Aid Probiotic Complex with Bifidus - 120 Capsules by bodykind customers. If you have tried this product we'd love to hear what you think so please leave a review. Excellent product, I have a lot of stomach issues and the probiotics help me to keep things on an even keel.